The Riverdale East Revitalization Plan sets out to transform Riverdale Park East into a widely used destination park in the heart of Toronto where people come to have memorable gatherings, discover the rich cultural and natural heritage of the park and surrounding area, and experience a remarkable gateway into the Lower Don Trail. Commissioned by the City of Toronto in conjunction with Evergreen, this project provides a crucial long-term vision and strategy for the improvement of the park, to accommodate the growing population within the Lower Don watershed resulting in a need to optimize existing recreational, cultural, and ecological assets of the Lower Don Trail. 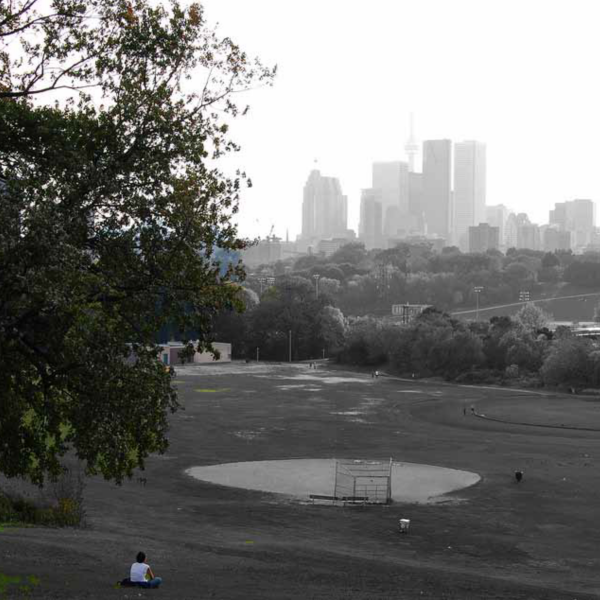 As such, the City of Toronto and Evergreen have identified Riverdale Park East as a strategic parks recreation asset within the Lower Don Trail that has considerable potential for improvement. The students identified six guiding principles and objectives in order to accomplish their vision of Riverdale Park East as a destination park including: to enhance the park’s draw as a destination for diverse users reflecting surrounding demographics, to foster cultural engagement, to practice ecological stewardship, to enhance connectivity within the park, the surrounding community, and the entire Lower Don Trail, to promote diverse uses and users, and to encourage community engagement. To implement these objectives, the students developed two sets of recommendations. First, they established a collection of broad enhancements such as: updating sports fields, the creation of an outdoor amphitheatre, improved connections between the upper and lower portions of the park, and improving lighting along major pathways. The second set of recommendations consist of a compilation of three ‘Big Moves’: enlivening the St. Matthew’s Lawn Bowling Clubhouse, creating a Broadview Promenade, and enhancing the Riverdale Bridge. These three distinct but complementary projects successfully re-envision Riverdale Park East as an accessible, inclusive and safe destination park.